A senior DUP MP has urged unionists to rally against a potential “anti-unionist coalition” in June’s general election. It comes after the SDLP last week outlined its desire for an anti-Brexit “axis” with other parties – a deal which could potentially include Sinn Fein. SDLP leader Colum Eastwood has suggested that whilst his party would not get involved in any “sectarian” pact revolving around nationalism or unionism, it might consider one based around the issue of Brexit. But DUP MP Sammy Wilson said people “should not underestimate the extent to which the SDLP will go to secure a non-unionist seat”. It was reported in the Sunday Times that Mr Eastwood is in favour of not fielding a candidate in East Belfast (along with Sinn Fein and the Green Party candidates) in a bid to give Alliance’s Naomi Long a clear run against the DUP. Mr Eastwood also told the paper he did not want to get “sucked into a situation” where it was the SDLP and Sinn Fein trying to push out a unionist candidate. But Mr Wilson felt the SDLP leader’s comments were indicative of an “anti-unionist coalition”. The East Antrim MP told the News Letter: “Despite their talk of wanting to move away from Green and Orange politics, this demonstrates that the SDLP are in fact as anti-unionist as Sinn Fein. “A number of Ulster Unionists will no doubt be looking back on Mike Nesbitt’s love affair with the SDLP during the recent Assembly election (in which he pledged to give his second preference vote to the nationalist party), as this demonstrates how foolish that tactic was. The SDLP has said it is willing to work with anyone who is “pro-Europe”, not just Sinn Fein. However, Sinn Fein is both overwhelmingly the biggest anti-Brexit party and has also signalled that it is open to the idea, whereas the Alliance Party – which was also resolutely against Brexit – has categorically ruled out the prospect of entering into such a deal. 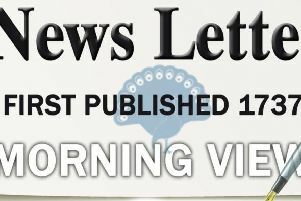 The News Letter was unable to reach the SDLP for comment on Sunday. Ulster Unionist leader Robin Swann has said he is “open” to talks on possible electoral pacts, while the DUP’s Sir Jeffrey Donaldson said the need for unionist cooperation is “greater than ever”. He also warned unionists to be mindful of a potential alliance among other parties.